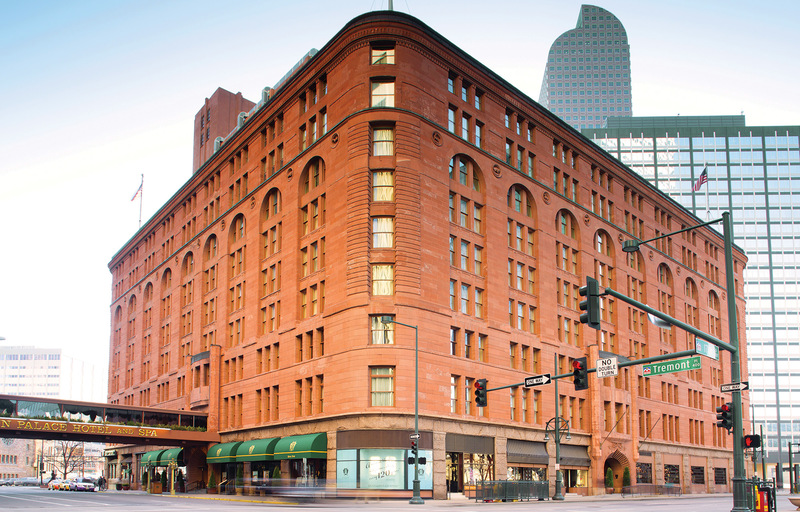 Sheltering such luminaries as Thomas Edison, Henry Ford, Madeleine Albright, Helen Keller and all but two presidents beginning with Teddy Roosevelt, The Brown Palace has been a star-studded landmark in the Mile High City for 125 years. The hotel was the brainchild of Henry C. Brown. Originally from Ohio, Brown traveled to Denver with his wife and son in an ox-drawn covered wagon in 1860. When he arrived, he purchased several acres of land, including a triangular plot at the corners of Broadway, Tremont and 17th streets, where he grazed his cows and built a carpentry shop on the site of what would become the hotel. Over the next two years, Brown made a name for himself by donating land for Denver’s State Capitol building and giving the first $1,000 for the founding of the city’s library. The carpenter-turned-real-estate-developer made a fortune selling off the rest of his land on Capitol Hill and spared no expense in designing his “Palace Hotel,” which opened in August 1892. Brown requested bids from architects and picked an Italian Renaissance building with three sides designed by architect Frank Edbrooke. The architect used Colorado red granite and Arizona sandstone on the building’s exterior. As a finishing touch, artist James Whitehouse created 26 medallions, each depicting a Colorado animal, which were carved from stone and applied to the building’s façade between the seventh-floor windows. Construction cost $1.6 million, a whopping sum in those days, and the furniture cost another $400,000. When it opened, The Brown Palace was the most luxurious hotel west of Chicago. It had 400 guest rooms (compared to 241 today) that rented for $3 to $5 a night. The hotel has long been called “the place where the world registers,” and over the last 125 years, guests have come, gone and reportedly stayed. President Dwight D. Eisenhower made the hotel his election headquarters, and President Bill Clinton used it for meetings. The Beatles stayed there when they performed at Red Rocks Amphitheater in 1964. And Jane Fonda and Robert Redford recently filmed a Netflix-produced movie there. 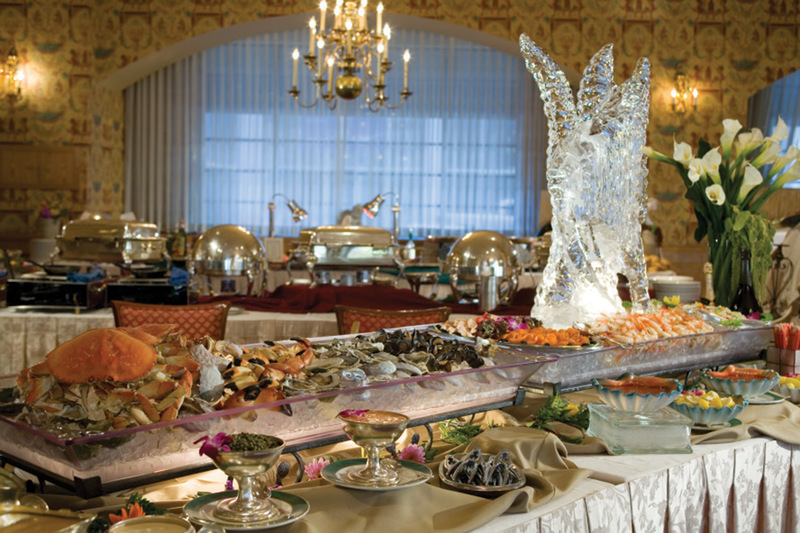 Celebrities such as the Rolling Stones, the Spice Girls, Taylor Swift and John Wayne have all stayed, along with old-time Western movie-star Monte Montana, who once galloped his horse into the ornate lobby and up the grand staircase! The hotel once had an underground tunnel to the building across the street — now the American Museum of Western Art but, back then, a brothel. The tunnel enabled some of Denver’s best-known politicians and celebrities to cross the street without being seen. It also has a long history of ghostly visitors, among them a bartender who serves drinks by walking through walls. 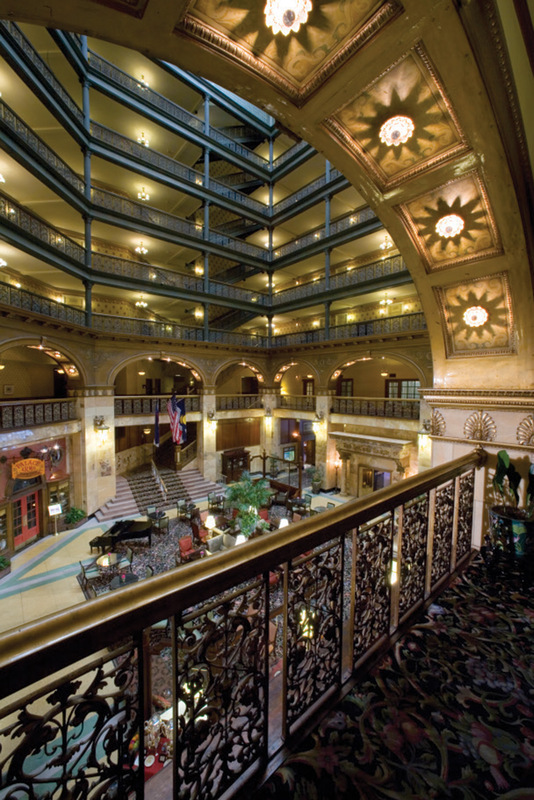 Perhaps these stories are fueled by the hotel’s more somber history, as there have been a number of publicized murders at The Brown Palace, along with some legendary — and illicit — affairs of the heart. The Grande Dame of Denver has never seemed grander. 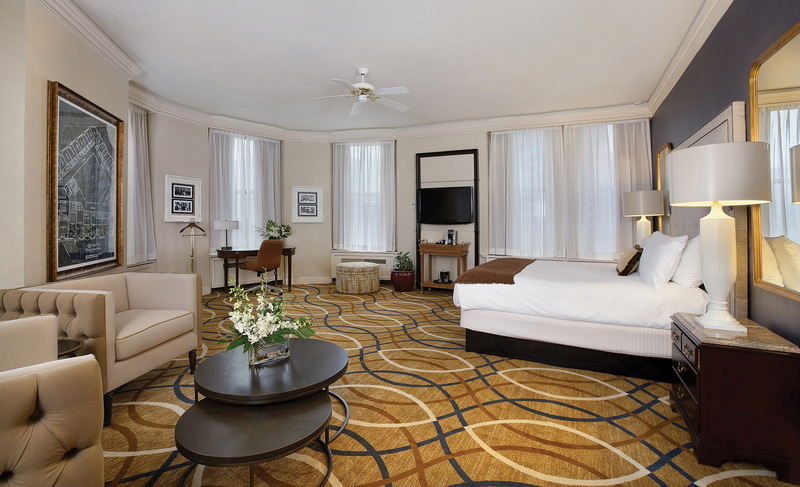 Spacious and sophisticated rooms await your arrival at The Brown Palace. 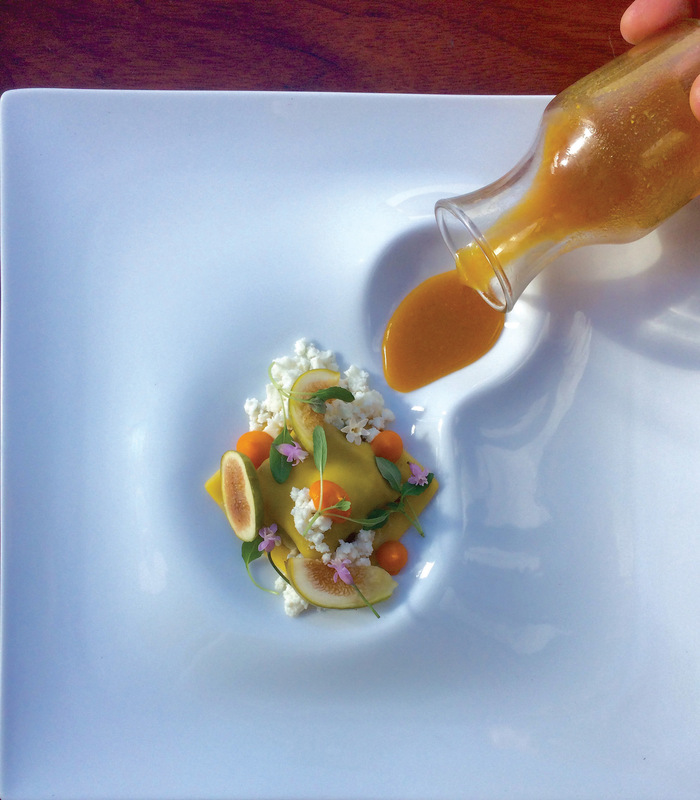 Experience delicious offerings at the hotel with your choice of notable restaurants and fine wines, including an afternoon high tea and Dom Perignon champagne brunch. 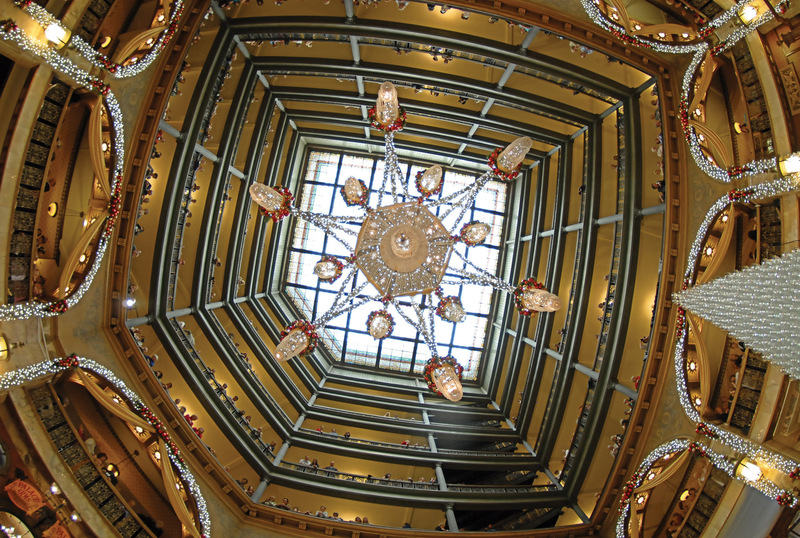 Look upward and enjoy the dramatic, beautifully restored atrium in the lobby.